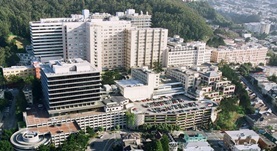 Dr. Dean Sheppard is a specialist in pulmonology based in San Francisco, California. 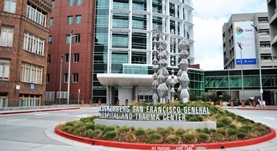 He works at several hospitals in the area, such as UCSF Medical Center and San Francisco General Hospital. He got his diploma from Stony Brook University School of Medicine and completed his residency program in internal medicine at the University of Washington. The doctor is certified in internal medicine and pulmonary disease and has an experience of more than 20 years. Dr. Dean Sheppard has contributed to 3 publications. IgA production requires B cell interaction with subepithelial dendritic cells in Peyer's patches. Reboldi, A.,Arnon, T. I.,Rodda, L. B.,Atakilit, A.,Sheppard, D.,Cyster, J. G.; Science. 2016 May 14. Inhibiting Integrin αvβ5 Reduces Ischemia-Reperfusion Injury in an Orthotopic Lung Transplant Model in Mice. Mallavia, B.,Liu, F.,Sheppard, D.,Looney, M. R.; Am. J. Transplant.. 2015 Nov 26.
αSMA is an inconsistent marker of fibroblasts responsible for force dependent TGFβ activation or collagen production across multiple models of organ fibrosis. Sun, K. H.,Chang, Y.,Reed, N. I.,Sheppard, D.; Am. J. Physiol. Lung Cell Mol. Physiol.. 2016 Mar 06.